ELITE SCREENS SURVEY HAS A WINNER ! 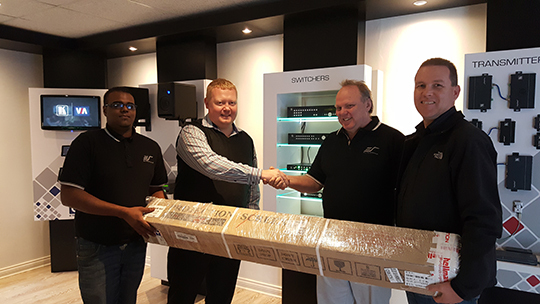 Electrosonic SA recently launched a survey for the Elite Screens brand which ran until the end of June 2016. The objective was to hear the voice of our clients and allow you to tell us what we are doing right with our service, or where we can improve. The survey also covered questions about how you rate the quality of our Elite Screens products; your perceived value to cost and your overall experience of the brand. VIA Campus "Most Innovative Collaboration Product" Award at InfoComm 2016. 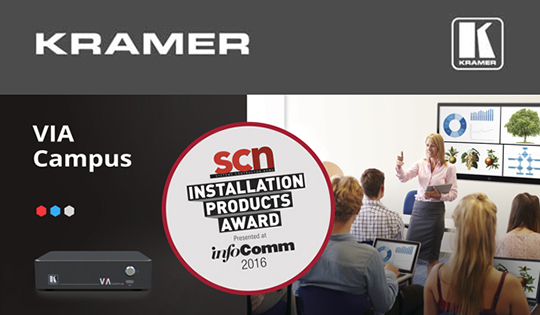 Kramer’s VIA Campus, an innovative Bring-Your-Own-Device (BYOD) wireless presentation and collaboration solution for any meeting environment, classroom or training room, won the SCN Installation Products award for "Most Innovative Collaboration Product" at InfoComm 2016. Congratulations to Abrie Du Plooy for his election on the SACIA board. Electrosonic SA is proud to have three members on the board, including Bruce Schwartz as Chair of the TPSA Council and Bruce Genricks, Chair of the ProAV Council. 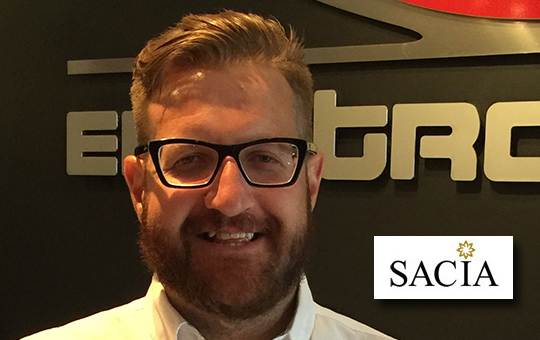 Abrie du Plooy is Product Manager of NEC, GALAXY & ZeeVee at Electrosonic SA.